Are these critters good or bad? Find out! What on earth are these critters you ask? Well, those alien looking brown and black creatures in the center of the photo are a mixture of the twice-stabbed lady beetle larvae and pupae. These are their young before they develop into adults. These are very beneficial insects so you don't want to destroy them when you find them in your garden. So what exactly are they doing in this photo? They are having a buffet of crape myrtle scale! 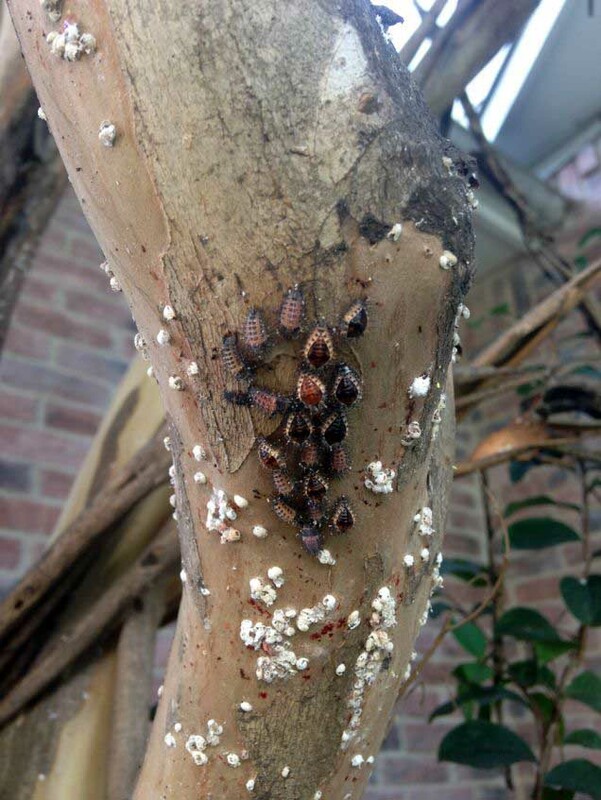 That white fuzzy stuff on the bark of the tree is actually a destructive insect called crape myrtle scale. The larvae and pupae of the twice-stabbed lady beetle are highly effective at destroying these pests!